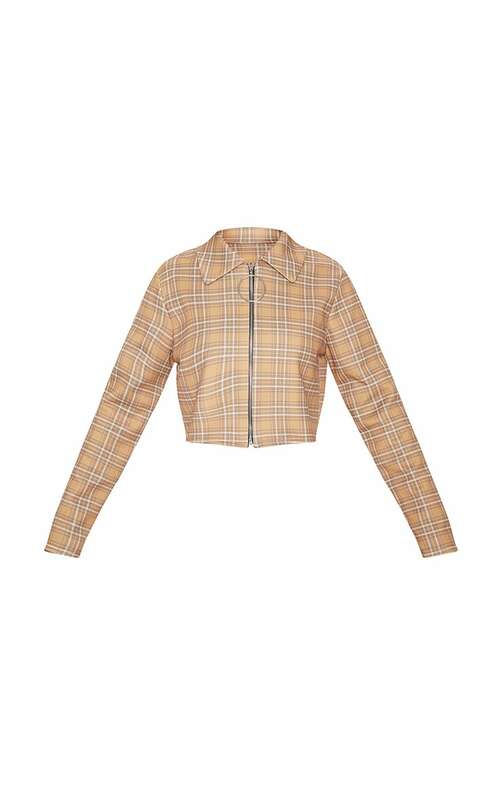 Think clueless as your muse this season with this insanely cute jacket. 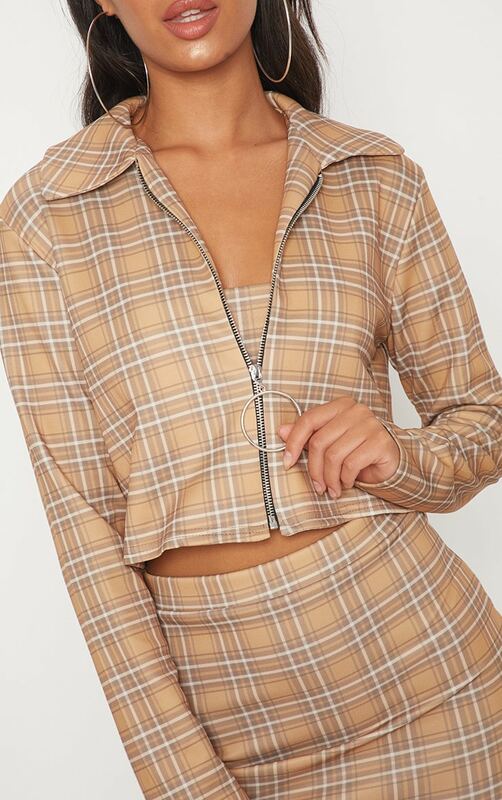 Featuring a Camel check fabric with a ring pull zip and cropped length, team with the matching crop top and skirt for a look that we are crushing on. 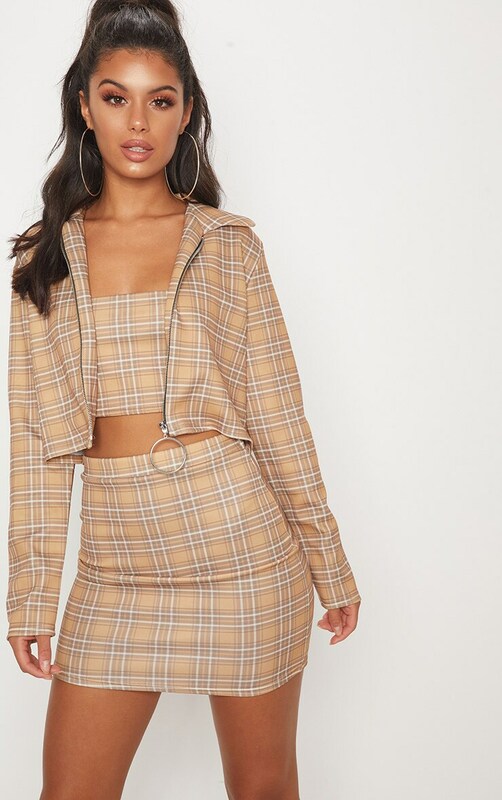 Team with strappy heels and retro accessories.